Around the world, sleep habits differ between countries and cultural groups. Many groups use slumber for closeness and bonding, while others regard sleeping as a private endeavor. In work-prioritized cultures, productivity and over-scheduled personal lives cut in to rest. Other countries tend to prioritize family time, sleep and recharging. 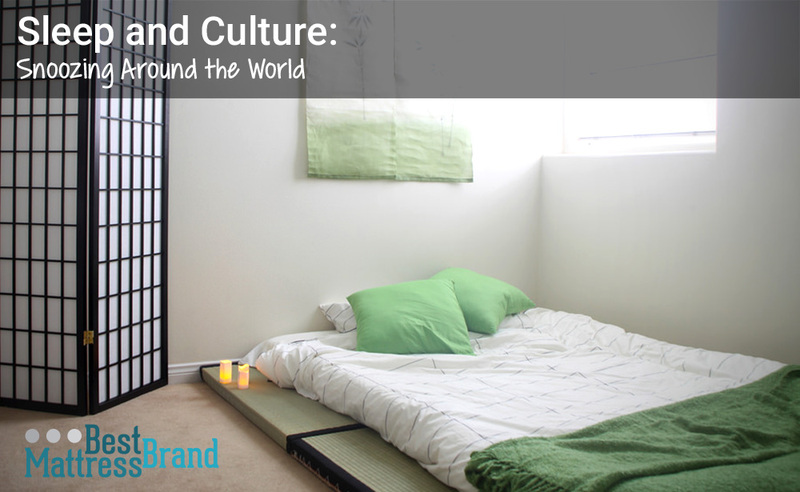 In this article, we will look at the cultural differences between when we sleep, for how long, where we sleep, and even who we rest with. Science says everyone needs between seven and nine hours of sleep for optimal health. But, the length of our sleep, as well as what time we go to bed and get up, vary depending on a few factors. In warmer countries, daytime naps, or siestas, are a regular occurrence. Usually, this practice was to allow workers to rest during the heat of the day, or to combat the drowsiness after eating a heavy lunchtime meal. Historically, siestas hold a place in cultures throughout the Mediterranean, and other countries of Spanish influence including Latin America. Daytime naps taken by adults are also popular in other countries such as China, India, Bangladesh, and throughout the Middle East. In many areas, businesses will close for 2-4 hours to accommodate these midday snoozes and family time. In Japan, there is a particular type of nap called inemuri, which is taken to increase productivity at work and demonstrate professional commitment. Indeed, recent research supports this concept! Cultures that take extended daytime naps predictably tend to sleep less at night. In Egypt, for example, it is common to snooze for six hours during the night, and two hours during the day. And in Cuba, children often play outdoors long after the sun sets. In several Asian countries, toddler bedtimes may be later in the evening, around 10 or 11 PM, so parents can spend time with their family after work. Variances in toddler bedtimes can range drastically – from 7:30 pm in New Zealand to 10:45 pm in Hong Kong. Sleep Cycle’s app data shows that people in Poland, Japan, Chile, Portugal, Philippines, Saudia Arabia, Taiwan and Italy stay up latest (averaging between 12:30 AM and 1 AM). Wakeup times vary wildly across countries, phasic sleep styles, and even days of the week. Australians tend to be early risers, with 12% of the citizens raising before 5 am during the workweek. 16% of Japanese high schoolers reported going to bed after 1 am. But, they make up for the lost hours by sleeping in until 1 pm on the weekends. Sleep Cycle shows the earliest risers being South Africa, Columbia, Costa Rica, and Indonesia. People in these countries average wakeup times before 7AM. 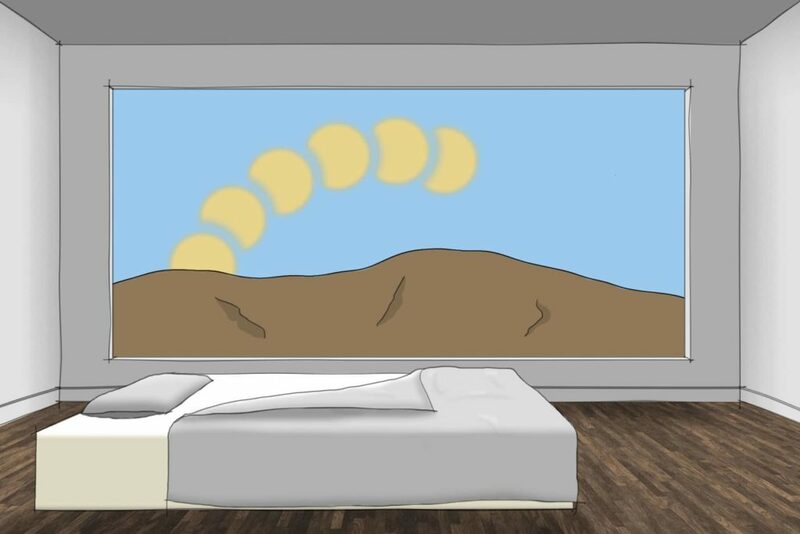 The availability of artificial light also affects when people go to sleep and wake up. Those lacking electricity will complete the day’s activities as the sun allows, retiring when it is dark and they are unable to see what they are doing. Several African tribes, such as the Kung in Botswana and Efe in Zaire, see sleep as a fluid state. As such, they don’t feel restricted to regimented cycles. Instead, they sleep and wake when they feel like it, whether during the day, evening, or in the dead of night. Segmented sleeping, as opposed to sleeping in a single concentrated burst of time, is called polyphasic or biphasic sleep. It’s believed that western cultures largely followed a segmented sleep pattern before electricity, with a period of mid-night wakefulness between two blocks of rest. This probably will come as no surprise: people in countries that emphasize worker productivity tend to get the least amount of rest. In the US, Canada, Mexico, UK, Germany, and Japan people sleep about 40 minutes less than other countries. The most likely reason is that work and productivity takes precedence over rest. Studies put the worldwide sleep average at 7.5 hours, although this study was limited to only 10 countries. Both South Koreans and the Japanese sleep far less than the recommended 8 hours per night, with those in Japan averaging only 6 hours and 53 minutes. By contrast, the Spanish and Portuguese slept approximately 8.5 hours while the French managed around 9 hours. Cultural difference in time is also noted with infants and toddlers. Young kids slept an average of 13.3 hours in New Zealand, 12.9 hours in the US, and only 11.6 hours in Japan. When it comes to teenagers however, students in America, New Zealand, Saudia Arabia, Kuwait, and Australia rest the least, and take a hit on academics. In fact, studies estimate 90% of American youth rank as sleep deprived. This does not mean that those in work-based cultures need less slumber – they often lie in longer on weekends. 32% of Belgians complained of insomnia and other sleep problems. Sleep aid usage differed between cultures as well – 53% of South Africans and 46% of Portuguese admitted to using sleep medications compared to 10% of Austrians and 15% of Japanese. Large mattress for couples who sleep together aren’t nearly as common internationally as they are in the USA. While the majority of countries sleep on modern mattresses, we don’t all agree on personal space. In fact, several cultural variations exist between mattress size. 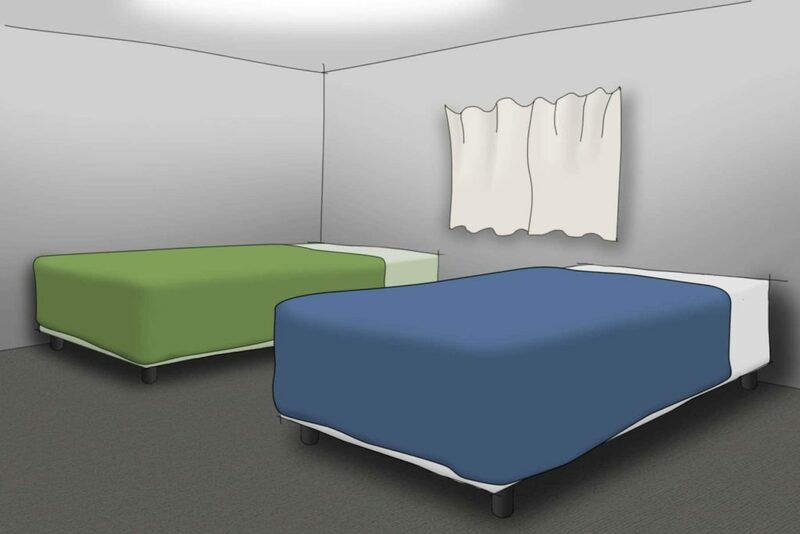 In Germany, Austria, and Switzerland paired double beds that split into single beds remains a popular option for room arrangement flexibility. The narrowest beds exist in the UK, Norway, Sweden and Ireland. Americans remains fond of the large sleeping space of King size beds. 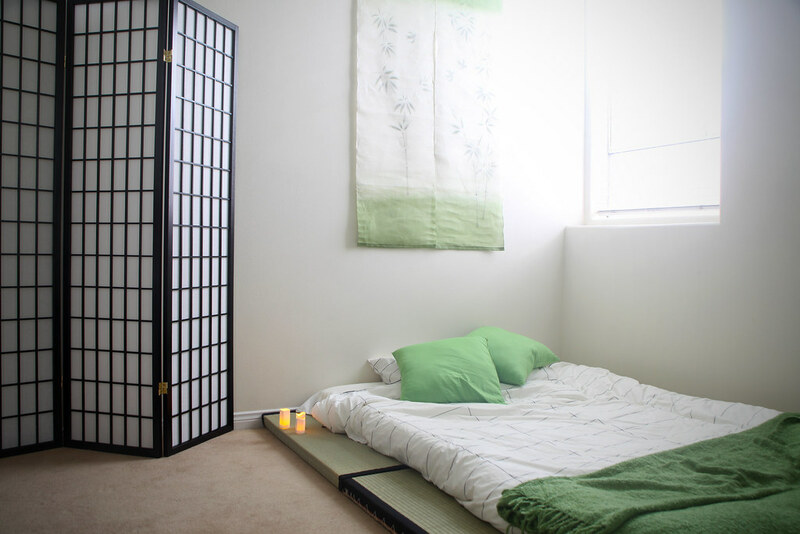 Although many Japanese households use western-style mattresses, the traditional Tatami mat – a bed roll or futon – still proves a popular option for sleeping. Hammocks are traditional throughout Central and South America for afternoon siestas. In some areas, they also predominate for nighttime snoozing, too. And, hammocks avoid a variety of ground-based critters and maximize indoor space. Netted bed covers come handy in places where malarial mosquitoes reside. Those used to loud city and traffic noises seem to have no problem sleeping through it. In Cairo, people reported sleeping soundly during their afternoon nap with the windows wide open. This trait might derives from their ancestors, with Cairo being an old, urban civilization with historical urban noise. Television is a popular and noisy way to fall asleep around the world. About 2/3 of the people in one ten-country study reporting that they usually watch TV in the hour before bed. The most extreme cultural example of being able to snooze anywhere is the cultural acquisition of Todoet Poeles, or Fear Sleep. In stressful situations, people in various tribes and cultures instantly fall into a deep sleep. And, sleeping can help reduce or erase fear response. Co-sleeping seems to come in and out of fashion in western cultures. It was very common up until the 19th century and is still predominant today in many parts of Africa, Asia, and Latin America. The term co-sleeping usually refers to babies and young children sleeping in the same bed as their mothers or parents. Historical hunter/gather tribes, such as the Ache of Paraguay and Aboriginal groups in Australia, took co-sleeping one step further, by sleeping in multigenerational groups. Rest was more of a social and ritualistic activity to foster the exchange of information and strengthen bonds. In smaller spaces housing multigenerational families, group sleeping often becomes necessity due to lack of sleeping space. Within the U.S., group sleepovers are a popular way for kids to bond and socialize, recalling these long-forgotten practices. In most cultures, it’s pretty common for couples to share a bed. However, some like their space more than others. Amongst Japanese married couples, studies found that between 25% and 50% sleep apart, depending on age and children. However, they might not be so different after all. A Canadian study also found that 30-40% of people would prefer their own beds, while a Today Show poll claimed 60%. We all snooze, but around the world and across cultures, its not a standardized ritual. In some cultures, sleep gets priority or helps build social bonds. In others, busy schedules take precedence over getting a good night’s sleep. Next time you are at work, try telling your boss you need to take an inemuri nap for productivity. Happy snoozing!